08 Jan 2018 Rosette Nebula in Constellation Monocerus the Unicorn. 66mm Altair Astro Doublet Refractor plus 0.8x focal reducer and field flattener. 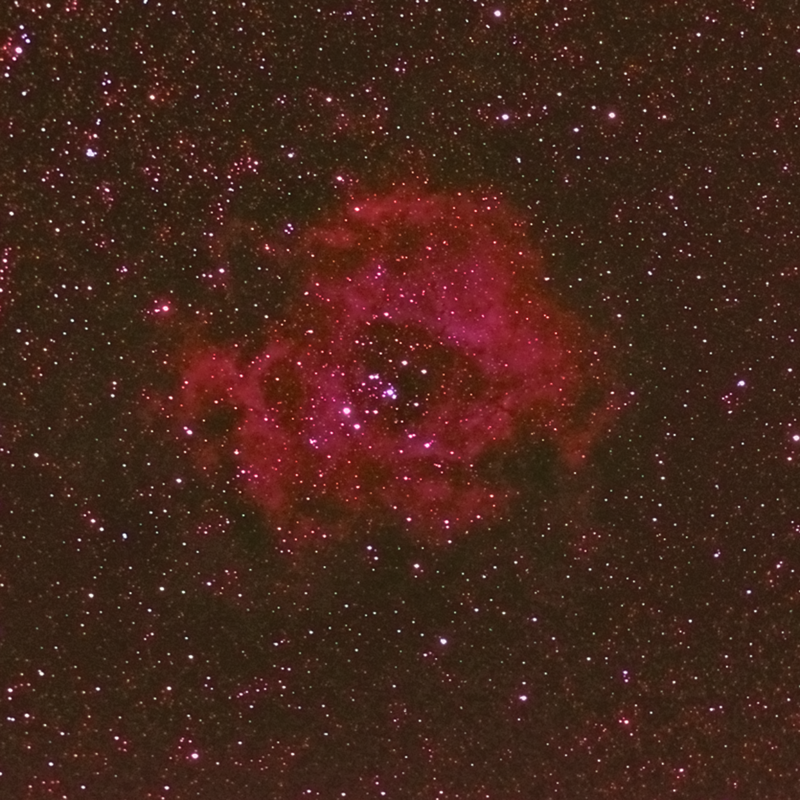 Canon 600D DSLR - guided 10x 4min subs at ISO800. First time I've imaged this Nebula - never seen it through the eyepiece, through my binoculars I have seen the open cluster NGC2244 at its centre. In reality I was surprised the nebula was so red and small.